Democrats are trying to ban low-cost health insurance that will cover less than Obamacare. They claim they're protecting the public from what Senator Chuck Schumer calls "junk insurance." Don't believe it. In truth, they're sabotaging middle-class consumers who've been priced out of Obamacare and dread being uninsured. Somebody needs to remind the Democratic Party that poor lives matter but so do middle-class lives. The Affordable Care Act requires all health plans to cover a whopping 10 categories of medical care that Washington politicians deem "essential." Everything from maternity care (even if you're in your 50s) to substance abuse treatment. It's like passing a law that the only car you can buy is a fully loaded four-door sedan. Some people need wheels and can only afford a Mitsubishi hatchback or a motorcycle. Trouble is, Obamacare is a budget buster. Premiums for 2019 will be about triple what they were six years ago. Not a problem for buyers who get subsidized by Uncle Sam. But it's a big problem if you earn more than $48,560 individually or $65,840 as a couple and can't get a subsidy. One out of every 5 of these unsubsidized Obamacare customers dropped their insurance last year and went uncovered, a trend predicted to worsen this year. Not that Schumer and the rest of Congress feel the pain. They get their own sweetheart deal. Meanwhile, the middle class is becoming the new uninsured. Enter President Trump. 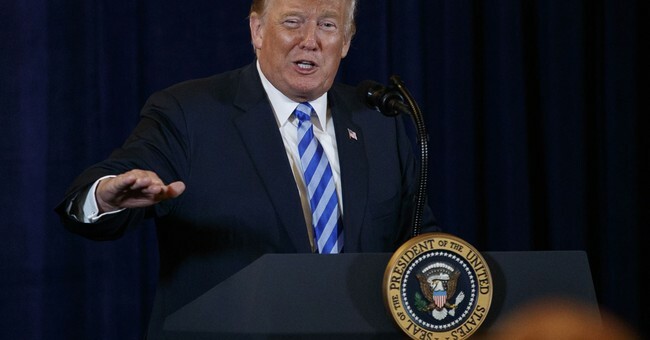 On Aug. 1, the Trump administration announced regulatory changes that will allow sticker-shocked consumers to buy "short-term" health plans without costly extras, such as newborn care and pediatric dental coverage, that are mandatory in Obamacare plans. The short-term plans, which can last three years, will cost less than half what Obamacare costs, in some cases only a quarter as much. Six-hundred thousand consumers are expected to snap up these lower-cost plans in the first year, with two million expected by 2023. Disregard panicky predictions that consumers who don't read the fine print will get a rude awakening. Trump's regulations require exclusions to be spelled out in huge typeface no one can miss. Buyers will know what they're not getting before they sign up. How about Nancy Pelosi's rants about "junk" coverage? False. These low-cost plans will probably provide better access to hospital and doctors than Obamacare plans, which often exclude specialty hospitals like MD Anderson Cancer Center in Texas and Memorial Sloan Kettering Cancer Center in New York and include only doctors who take bargain-basement Medicaid fees. Schumer tries to claim people with pre-existing conditions will be harmed because their Obamacare premiums will rise as healthy people leave for less costly alternatives. Sorry, Senator, that's another whopper. According to America's Health Insurance Plans, the impact will be nearly imperceptible -- less than 2 percent. Never mind hard facts. The Democratic Party is determined to outlaw low-cost alternatives to Obamacare. They're taking their battle to the states, which have the authority to ban these plans inside their own borders. Hawaii, Maryland, Connecticut and Washington state recently slammed the door on them. California is expected to follow. Consumers in most states will be free to buy low-cost options, thanks to the Trump regulatory change, but not in these health insurance gulags. Sadly, New York is the worst. Consumers here have the least freedom of choice and pay practically the highest premiums in the U.S. Even before Obamacare, New York legislators pandered to interest groups by requiring that all plans cover a huge range of services. Here's how it works: Lobbyists get paid by chiropractors, infertility experts and other interest groups to push for mandatory coverage, and state legislators rake in contributions and accolades for going along with it. Everybody wins but John Q. Consumer, the middle-class schlemiel who gets clobbered when he buys insurance. Meanwhile, people who live in states with more health insurance freedom save thousands of dollars a year.